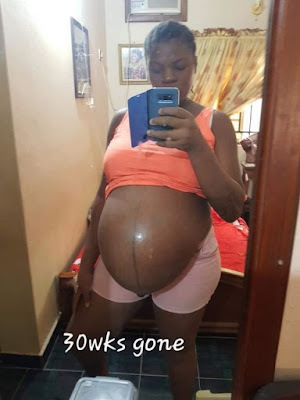 The woman pictured above, identified as Chidinmma Offor has caused some stir online after sharing the story of how she conceived six babies within 3 years of marriage. "At 25, within 3 years of marriage, we’ve been blessed with 6 beautiful babies….trust me when I say it wasn’t an easy journey, buh it’s been worth it. Say hello baby Somkenechukwu (female), Sobenna(male), somfechukwu (female), chimsonarii (female), newest addy to my not so lil family.